This is a guest post from Stephani S, a freelancer writer who contributes to Advance Me Inc America’s leading provider of merchant cash advance products. A busker is a street performer. Their origins can be traced back to the jesters and traveling show people from long ago. The literal definition of a busker is a person who provides entertainment in public places in exchange for money. You can find buskers performing in many places around the world such as England and Italy, but, they aren’t welcomed in other spots because they are often legally considered the same as panhandlers. In these areas buskers can be arrested and face prosecution. The term “busking” was first used in Great Britain in the late 19th century. Prior to this, street performers were refered to as minstrels. The word “busk” is derived from the Spanish “buscar” which means “to seek” – since buskers are seeking fame and fortune. It is believed that the Romani people, also known as gypsies, are responsible for bringing busking to England. 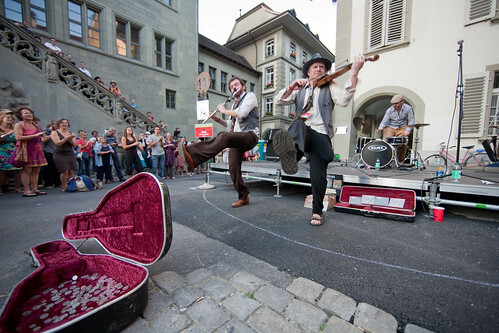 Due to their nomadic way of life, busking was relied upon as a form of income, and each new place they arrived in would be exposed to this variety of street performance. Abroad, you will find busking in the form of Mariachis in Mexico – bands who wear jackets with detailed embroidery, and large sombreros. In Japan, the Chindonya first appeared around the mid-19th century, and can still be seen today. In the United States, the first buskers were probably the traveling vendors who brought “medicine shows” to towns across the country. It has also been speculated that the circus played a part in the spread of busking. Circus performers who needed to continue earning when not officially working would tweak their acts to be suited for street performances. Today, the basic act of busking is the same as it has been throughout history, but modern technology has made things easier. Buskers can use the Internet to promote themselves and book engagements, they can follow busking festivals, and determine which holiday and travel destinations are busiest at any given time. There is even a new twist on an old theme – known as “cyber busking”, performers can upload their work for others to download in exchange for donations via online payment systems such as PayPal. The “brave new world” of busking! This entry was posted in Covent Garden Attractions. Bookmark the permalink. Will Capco Ruin Covent Garden?